Suite of six etchings, two with additions in watercolor applied by hand, on handmade Indian Khadi white paper. Sheet size 16 ½ x 12 inches (image size varies). Edition of 20. Printed and published by Harlan & Weaver, New York, NY. $2,800 for the suite. 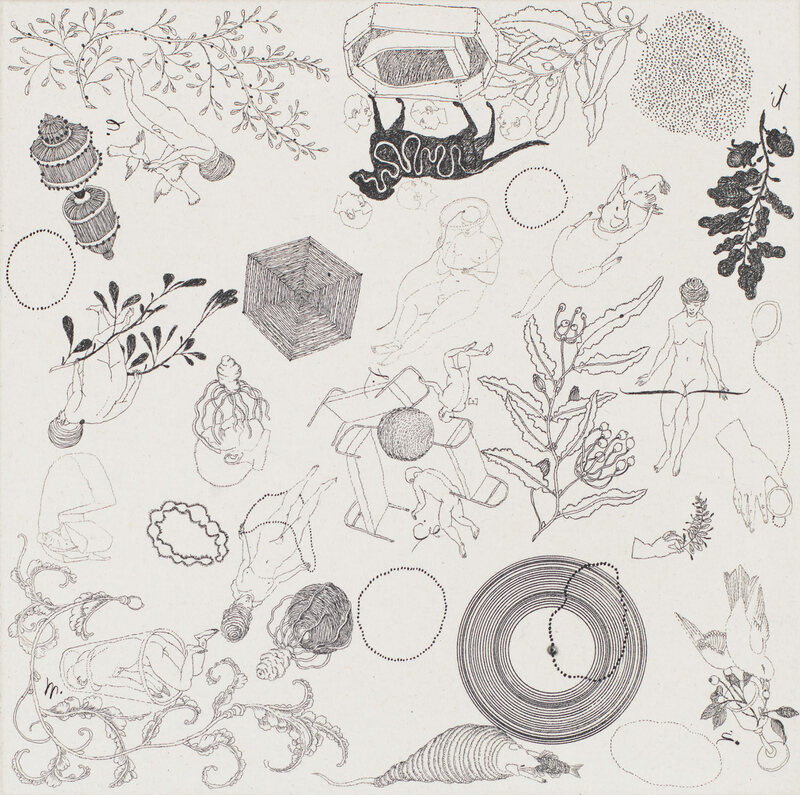 José Antonio Suárez Londoño, plate from The Herkimer Suite (detail) (2014). Courtesy Harlan & Weaver, Inc., New York. In May 2014, Colombian artist José Antonio Suárez Londoño was living in an apartment on Herkimer Street in Brooklyn while he worked on a project with printers Felix Harlan and Carol Weaver that would eventually take on the name of the street. 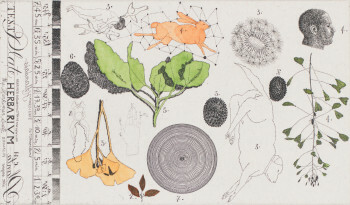 The first and smallest sheet of the resulting suite incorporates images of plants and leaves he picked up in the neighborhood as well as animals, the head of a black man, and the motif of densely connected concentric circles that recurs in every print in the series, sometimes more than once. This first image was intended as a test plate and is inscribed in archaic script within the left margin, “TEST Plate HERBARIUM.” To the right of this is a key to the numbered, drawn motifs, showing how many minutes each was immersed in acid. Once the image was printed, Londoño applied watercolor to some of its elements. He then made four black-and-white plates that form the core of the suite as well as a final print, also hand-colored, to serve as an index. This last work shows ornamental baubles, pendants, and inscriptions alluding to the fact that the New York workshop of Harlan & Weaver had once been a jewelers; it also records the names of the printers who worked on the project. 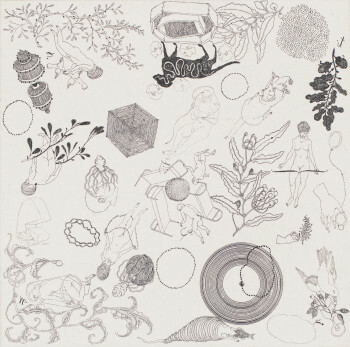 Harlan and Weaver (with whom the artist had produced three etchings in 2012 and 2013) had originally invited Londoño to make a single plate to be printed on old Indian paper they had obtained at an artist’s estate sale. 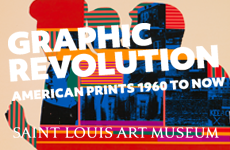 The artist decided to divide the plate into four equal parts with the idea of printing them in a grid on a single sheet, but in a different order for each impression (this single-sheet composition was printed in the summer of 2014 but has not yet been editioned). The smaller plates allowed the artist to create variable impressions and, as importantly, enabled him to rotate the individual plates easily as he worked; this became essential to his working process. The test plate and index plate ultimately became bookends for a suite of six separate sheets, incorporating keys and annotations in the manner of an herbarium. The patterns on the four central plates are also designed such that when they are put together, the leaves and flowers form a little garden at the center of the grid. If the prints at first suggests the scientific didacticism of an old botanical treatise, on closer inspection its contents evoke an especially idiosyncratic cabinet of curiosities—the controlled scattering of naturalistic plants, animals and birds is interspersed with less obviously compatible motifs, all wildly disproportionate in scale. Some, like the frigate and the rowboat, the upturned beds, and the tables with turned legs, are at least familiar. But the blank-featured, stylized nudes standing or somersaulting in space; the birdcage and lantern structures; or the little black statuette on a base holding a ladder are harder to decipher or interpret. The starting point for each of these images, Londoño says, is the concentric circles motif; once he discovered that he could use a compass within the etching plate to create these forms, it encouraged him to create a fluid sense of orientation within each image. Indeed, the various components of the four core plates seem to circle the sheet as if lifted from above by a tornado and dropped back suddenly on to the surface. Once the circles were established, he kept rotating the plates and “filling them with little things until the moment I say ‘it’s enough.’” These “little things” are mostly figurative details from the “yearbooks” in which he has made a daily drawing since 1997. The drawings respond to the books he is reading—sometimes relating to entire passages and othertimes arising from just a single word; among these prompts are the diaries of Franz Kafka, Paul Klee, and Rainer Maria Rilke; Arthur Rimbaud’s Poésies Complètes; Ovid’s Metamorphosis; W. G. Sebald’s The Rings of Saturn; and the poetry of Patti Smith (a selection of these notebooks was exhibited at the Drawing Center in New York in 2012; in the same year Londoño produced drawings for the publication of Smith’s poem Hecatomb). José Antonio Suárez Londoño, test plate from The Herkimer Suite (2014). Courtesy Harlan & Weaver, Inc., New York. While the yearbooks point to an unusually wide frame of cultural reference, Londoño is not merely eclectic. The Herkimer Suite was inspired in part by an important herbarium of the plants of Colombia. Based on the findings of the Expedición Botanica de Neuva Granada led by the Spanish doctor, botanist and priest José Celestino Mutis between 1783 and 1808, it contains exquisite botanical plates. In 1816 the descriptions and more than 6,000 illustrations produced by Mutis and his team were shipped to Madrid at the behest of the Spanish king, but the resources to publish the work were not found until after World War II. By the time Londoño (b. 1955) was in school in Medellín, he says, “everyone learned about this expedition,” and as an adult he visited Madrid to see the original plates in the Royal Botanic Garden. The artist’s youthful interest in botanical drawings was soon matched by a then-very-unfashionable interest in the traditional printmaking techniques of woodcut, etching and lithography, which he learned from a local printer soon after graduating high school. Later, at art school in Geneva, Londoño made prints every semester for seven years, largely undisturbed by the ancient professor and the other students, fully absorbed as they were in the school’s prevailing Conceptualist agenda. While drawing remains primary in his daily practice, Londoño has been committed to etching ever since. There is something old-fashioned about the modest and often oblique manner in which Londoño references literary and artistic figures in the economical motifs in his yearbooks and etchings. A series of numbered clouds or a hand resting face down on a surface, small figures in obscure moments of confrontation or connection, numerous annotations, more plant forms and more concentric circles—all these represent the artist’s measured responses to the ideas of writers and other artists rather than a direct appropriation or illustration of them. 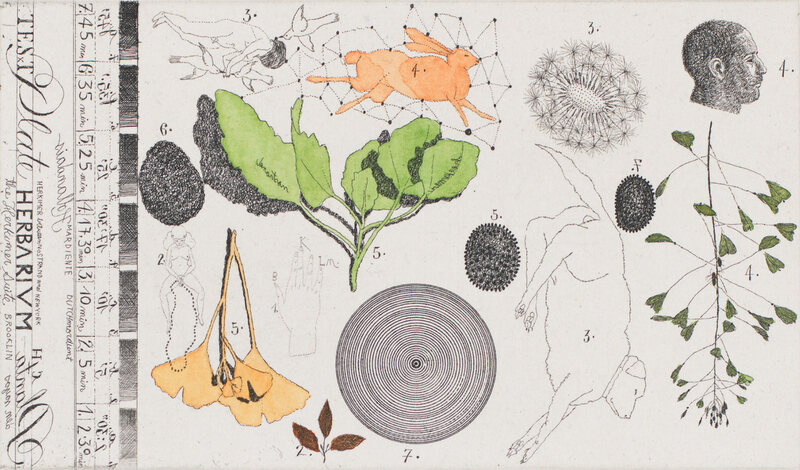 Londoño’s obsession with literature and old botanies, with scientific instruments like the compass and with traditional printmaking techniques—all evident in this suite—seems similarly archaic at this moment of technological compulsion. Indeed, the copperplates for the Herkimer Suite were smoked in the traditional manner to create an unusually dark velvet surface that, Londoño explains, is “beautiful to draw on—you can see better what you are doing.” Printer Felix Harlan notes that the technique, while still widely used in South America, is rarely employed in the U.S. because of the large quantities of sticky black smoke it creates. At Harlan & Weaver, Londoño dismissed the traditional use of wax tapers as they produced insufficient amounts of smoke; a kerosene lamp discovered in the studio was found similarly wanting. Eventually the artist settled on what he called “a Molotov Cocktail,” soaking a strip of T-shirt fabric in melted Vaseline and dramatically setting it on fire. “He got what he wanted and he was quite proud of it,” says Harlan. “Although I made him do it in front of the exhaust fan.” “I’m glad he showed me,” he adds. “But I don’t know if I’m going to do it again.” Londoño himself clearly harbors no such reservations. One discerns, in fact, a small but excusable note of swagger in his tone as he describes his abiding fascination with the technique: “I work like Rembrandt,” he pronounces.